24068 was one of three Gresley teak carriages – along with 43600 and 70759 – to be acquired by the SVR Rolling Stock Trust in December 2010. The previous owner was the LNER (SVR) Coach Fund, which had originally purchased and restored them. 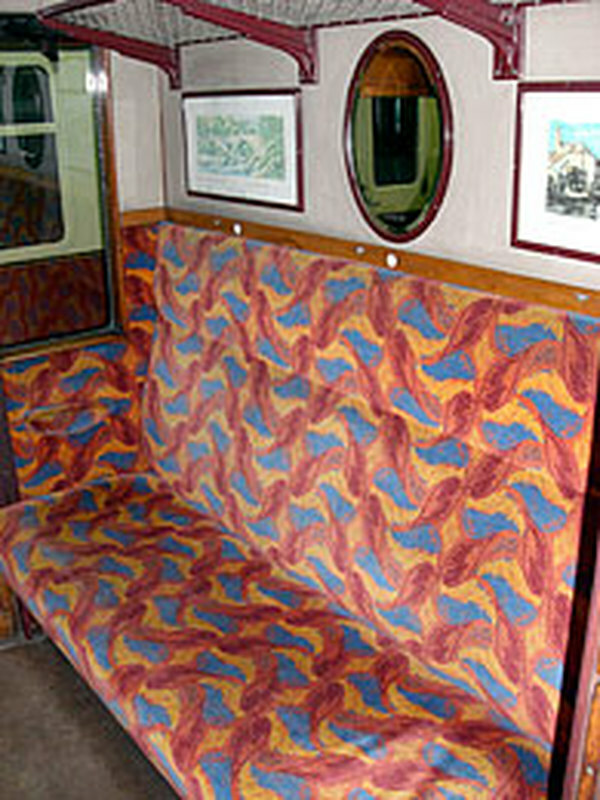 These three carriages were the Trust’s first ex-LNER vehicles. 24068 is a Brake Composite built by the LNER, which company was a creation of the 1923 amalgamation of East Coast railway companies including the old Great Northern Railway. The family resemblance between GNR and LNER carriage designs is unsurprising as, under Nigel Gresley’s leadership, GNR practice became LNER practice. The heavy Edwardian décor of the GNR was avoided in 24068 as, by the time of its building in 1937, rexine and art-deco fabrics had been adopted. 24068 was built at York for use in the LNER’s north eastern section. It was one of 69 such vehicles built to Diagram 175 between 1936 and 1940 and was a lucky survivor as most similar carriages were withdrawn in 1964. But No 24068 had been outshopped that year, as BR No GE10078E and apparently not returned to traffic. Instead it remained in sidings at York until 1968. It was then purchased from York, moving to the SVR in 1972 where it required full redecoration and replacement seating following its several years in store. Between 1982 and 1997 it carried its BR number GE10078E in SVR service, the livery reflecting York's practice with unlined teak vehicles until 1952. The number ‘100078’ was the one the carriage acquired under Edward Thompson’s 1946 renumbering of the LNER fleet. After ten years' SVR service the carriage was withdrawn needing a brake overhaul, a new roof canvas, some new panelling and attention to the interior. But with No.43612 newly outshopped, and the impending repainting of apple green K4 No 3442 'The Great Marquess' into BR black, 1997 offered a not-to-be-missed chance to run a five coach 1930s LNER train. So No.10078/24068 was briefly brought back to working condition to provide a brake coach and became the first vehicle through the SVR's new paintshop facility at Kidderminster. This apple green and varnished teak combination was a superb milestone in the LNER (SVR) Coach Fund's long task to create a complete teak train. The carriage also briefly served in the guise of ‘Clarabelle’ at the 1997 ‘Thomas’ events and as part of a six-carriage teak set for ex-LNER B12 4-6-0 No.8572 from the North Norfolk Railway at the 1998 Autumn Gala. No.24068 was fully overhauled between 1997 and 2000, ultimately emerging fully restored to its magnificent 1937 LNER livery, and correct with its original number of 24068.